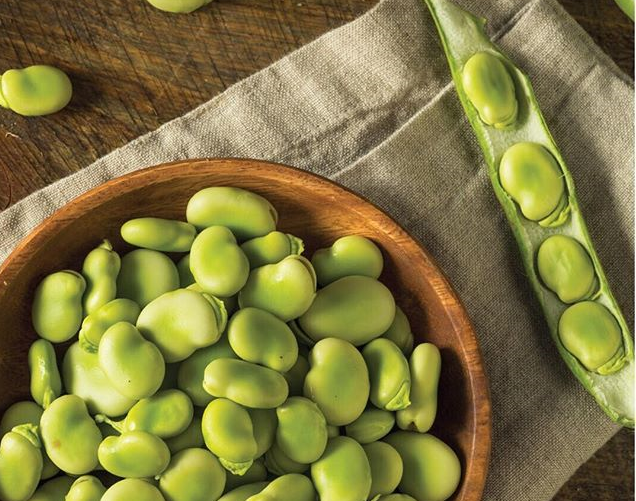 The fava bean, also known as Vicia Faba or faba beans, is a species of flowering plant in the pea and bean family, Fabarceae, originating from Northern Africa. This legume is known as one of the top high-folate foods, along with spinach, lentils, and chickpeas. They’re also a great source of fibre, protein, iron and magnesium, and are naturally gluten-free. They’re relatively light in flavour, low in calories, and contain complex carbohydrates so they help balance blood sugars and keep us feeling full longer.